The 50/50 raffle is one of the simplest there is, and you'll find many organizations dependent on fundraising run a 50/50 raffle every time they meet. 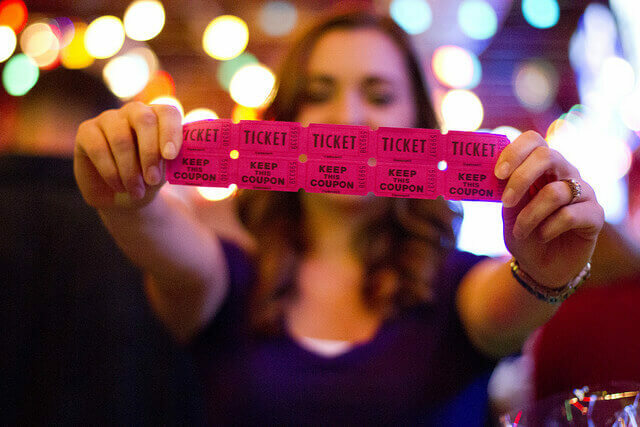 Certain companies use “fun teams” that put on a variety of events and which are entirely funded by 50/50 raffles — in this way employees or members can be offered self-funded events without a compulsory payment required. As for the raffle itself, it's very straightforward to set up and run: pick up a roll of standard raffle tickets (the style that have two sections with the same number) from any local party suppliers, then sell as many tickets to each person as they want to buy (you could use $1, $5 or $10 as a typical fee). The buyer gets one half, and the other goes in the bucket. The more tickets participants buy the better their chances of winning and the larger the prize fund. At the end of the raffle, draw out a ticket from the bucket at random, and the winner with the matching stub gets the spoils (half the money collected). If the holder of the winning ticket isn't present, you can draw again. You can get a volunteer to draw the winning ticket, provided it is picked out at random. We have partnered with a well-known expert who can tell you everything you need to know about hosting a successful raffle. 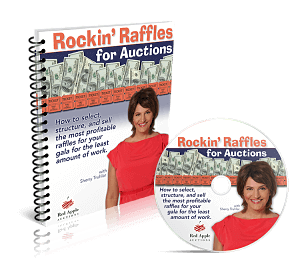 She has helped hundreds of organizations plan successful raffles and events and has put together a quick webinar to train you and answer any question you may have about your raffle. Read our in-depth article on hosting a 50/50 here. Before embarking on a 50/50 raffle, you should be aware that they are illegal in many venues (for example, the state of California). Even with a raffle permit, you cannot hold a 50/50 raffle. Before knowing this, a group I was involved with had the unfortunate experience of having all the money they had collected confiscated and being fined by the county district attorney’s office. The state of Virginia, Dept of Charitable Gaming also has laws regarding this type of raffle. Be sure and check with your State before holding any event where “cash” prizes are given out. It is also illegal to give over 10%, or $10k, $50k, or real property over $0.5mln, whichever comes first, in the state of NC. I like the idea of a raffle ticket fundraiser. How Do Scratch Card Fundraisers Work? Subscribe NOW and get a FREE copy of our E-Book on writing successful fundraising letters. That's a $29 dollar value, free! Sign up for our newsletter and get a FREE copy of "Writing Successful Fundraising Letters" - CLICK HERE !